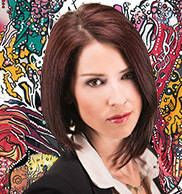 Abby Martin is a journalist and presenter of The Empire Files, a weekly investigative news program on teleSUR English. She was formerly the host of Breaking the Set on RT America network, working from the Washington, D.C. bureau. Abby also is an artist and activist who founded the citizen journalism organization Media Roots.